You might not think divorce and technology go together, but in our fast paced tech heavy world you can bet computers will become involved some how. Online Affairs, online bank transfers, and electronic harassment are just a few things that could go wrong in a divorce. Actions like these could be very relevant in child custody proceedings as well. Critical data such as electronic documents, emails, photos, and website history can be recovered and evaluated in a divorce case. The character and behavior of a marital partner could potentially be established using browser history, instant messaging, and social media activity. Technology can play a huge role in settling your issues. A forensic image of the hard drive can be created to minimize the cost of future forensic investigation. Sometimes the data obtained can set you up for an easy win. Since a forensic investigator doesn’t need to see the contents of a drive when making an image, in many jurisdictions there should be no problems caused by arguments of admissibility. Forensic gathering of data to obtain an exact image of a hard drive copies each bit of data on the drive to another drive. This image will hold the information of the original drive. The image many even have information that was deleted that can be recovered by the forensic team. The forensic image will also have data that normal user don’t typically have access to. Before employing the services of a forensic team, it is best to speak with a family law attorney to see if this is the right thing to do.. If you feel that assets are being hidden or other dirty deeds are being done, a forensic drive image can sometimes be taken for future use. In most jurisdictions, computers are considered joint property, so you may need a order from the court. Ask your attorney what steps need to be taken. Once you have a forensic image of the data, an expert in data forensics can work to document and collect evidence. If child custody is an issue, data forensic investigators can be used to clear up suspicions. Computer forensics investigations aren’t to be done by unskilled IT people. Forensic investigation should only be done by accredited and certified individuals that are recognized as experts by the court system. Ultimately, your attorney should be used to advise you of exactly what to do. Now you know how technology can impact a divorce. Always hire a lawyer for legal advice even if it is dealing with technology. The world is going digital and the business sector is no different. Many businesses have resulted to using various IT services to grow and manage their services. Entrepreneurs have developed software to market their products and services. This has created a platform where they and their clients can interact. These systems hasten the process of service delivery making the business more effective and efficient. Purchase of goods and services can be done online by the provision of some basic customer information. However, with today’s growing technology, the dangers of cyber theft and other online crimes are on the rise. Computers problems may be complex or simple to fix. In an attempt to reduce costs, many individuals may outsource the services of IT firms to manage their website and perform computer repair services if and when the need arises. Purchasing and installing a security software. Malware such as computer viruses are a great risk to any computer system. If infected, a business may lose information. A computer infection may lead to file corruption making files inaccessible. A entrepreneur should purchase a security software from a reputable company and install it. This will prevent any attacks by malware. Most of the security software in the market are similar to those used by qualified technicians. If the computer infection is deep rooted, the owner can then move to seek professional IT services for the removal of the malware. Managed Service Providers like Grapevine MSP in Bakersfield, CA can help you find the right security software. They will have partnerships like companies like Webroot to help you save money. Some computer may seem slow. They may take long to process data or take actions as instructed. As a result, some individuals may seek computer repair services from a technician. However, this problem should not be alarming to the user. The user should simply reinstall the operating system. By doing so, other IT problems such as having corrupted files or other errors are easily solved. Businesses should back up there important files to avoid loss of information. 1. Reinstalling an operating system. 2. Accidental deleting of files. Utilizing cloud storage will save you the trip and the cost of taking your computer to a repair shop to recover lost documents and files. A firewall will safeguard documents and files from being accessed by unauthorized personnel. This will ensure that client information is safe from hackers. For further security, the business can create passwords that are only known by the employees. Client as well as business information remain secured. Don’t settle for DIY all the time. For more complex problems and computer repairs, businesses should seek the services of a professional IT company. Qualified technicians offer the best and most reliable IT services. Research The Purchase of a Desktop Computer With A Few Tricks! You understand just how flexible a computer is when it can get done all the many jobs you desire it to. Perhaps you would like to see social media or create home movies. Whatever your reasons for needing a computer, get the finest desktop computer you can with these tricks. Look about for people who are giving desktop computers away. A lot of people use pills and will sell their desktop computers for more affordable costs. These computers generally work good also, but be sure that the computer is operating nicely prior to making an offer. For those who have discovered that the desktop computer is slow you may start by doing a boot test to receive more speed. You’ll manage to locate these records in the beginning emnu and running “ms config.” This will let you know which applications which are set to start up. Find the applications you do not actually use, and establish the to not begin on boot up. This will boost your computer run faster. Look into what add ons come with any computer you are contemplating. Many computers have options to buy additional accessories. Make sure that you’re just purchasing what you will need. Those purchased directly from computer makers are often more costly. Dust the inside of your computer weekly to have the fan is providing suitable cooling. This keeps the computer cool and makes the fan more effective. Look at technology websites for reviews before buying an excellent thought on what you need to purchase. It’s overwhelming when you consider the alternatives, but by doing some research, things will be simpler. For those who have PC applications but desire a Mac desktop computer, contemplate getting Parallels for Mac. This software enables you to run an example of a PC OS right on your own Mac computer. You’ll find a way to run whatever PC application you desire. You may have to purchase the genuine operating system individually. The kind you’ll want depends on these endeavors which you do often. Gamers need different conditions than those who only check e-mail and browse the Internet. If you have to transfer considerable files, you’ll definitely need to buy a desktop computer with a DVD optical drive. An average CD drive might not be adequate for big files. You want the space that DVD offers. Although these are more costly, it may help you prevent future difficulty. 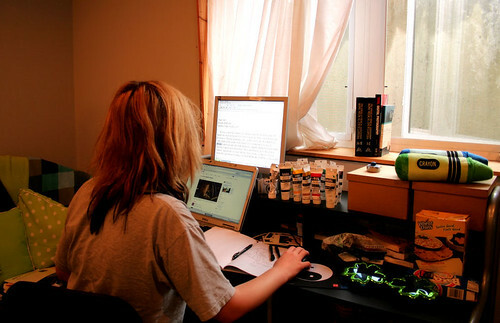 The universe of desktop computers is an ever changing one, with desktop computers generally more affordable than similar notebooks. You will get a computer for around four hundred dollars nowadays. Simply make sure that wherever you buy your computer from has great customer service. Miniature desktop PCs can offer many desktop computer consumers all the functionality they want with the green choice. They use very little electricity, and generally have enough power to get many endeavors carried through. If you simply check e-mail, e-mail, and use a word processor, a machine in this way should satisfy your needs. Buying a desktop computer needs tons of know how. Things become a lot simpler when you’re equipped with great advice. You will turn it into a piece of cake if you use the guidance found here as you browse around the shops.